Hi, all! I have swatches of some lovely new Powder Perfect polishes to share! 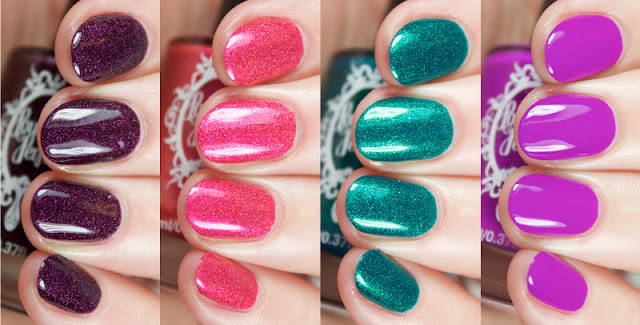 There is both the lovely Insomnia Trio as well as a rebooted polish from a few years back. Hi, all! Super short post today! I've been so insanely swamped with work the last few weeks that I have had almost no time for myself lately. And to top it all off, I had two major breaks of my nails on Monday D: so yeah, shorties for right now! Kind of feels old school ;) Also, one of the few times where I've only got *gasp* one photo to share. 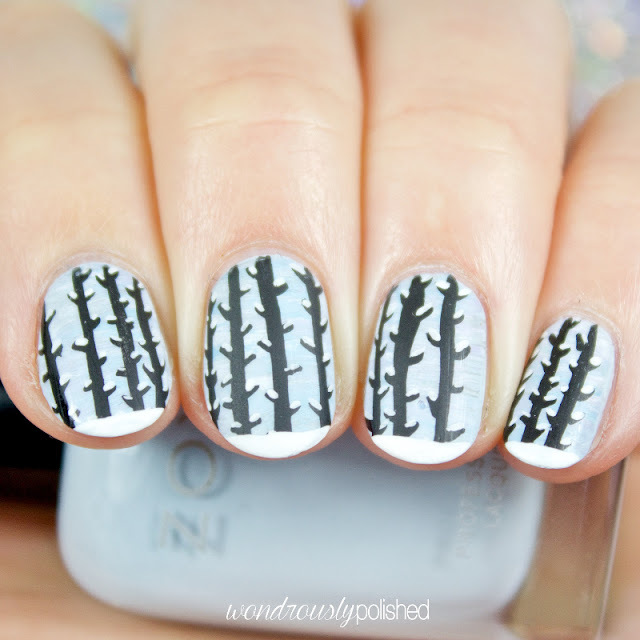 Anyhow, I've been so bad about my nail art lately that I really wanted to take part in the last week's prompt for January's Themed Thursday challenge! 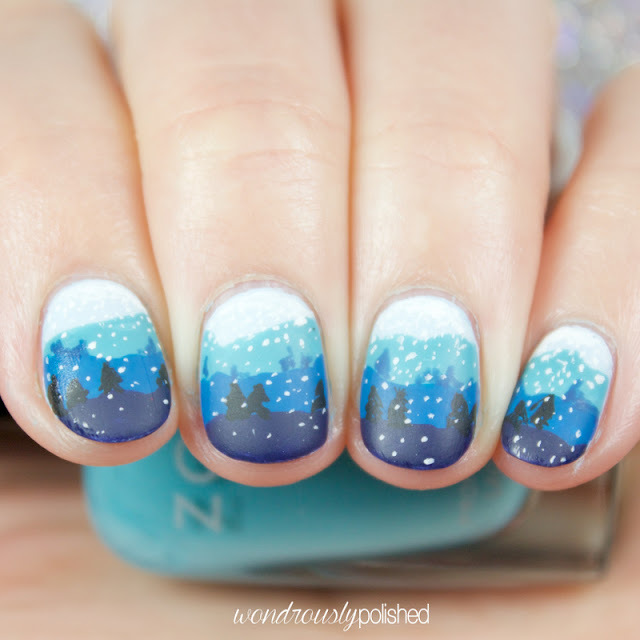 The last prompt is Winter Wonderland so I've painted a mountain scene with a light dusting of snowfall! This was pretty easy to create though. I started with a base of Zoya's Blu and then did layers down the nail using Zoya's Rocky, Ling, and Sailor (in that order). Then I went back in and painted the trees and snow...alright, so a super simplified version. Hi, all! Happy Thursday! I have a very special post today! 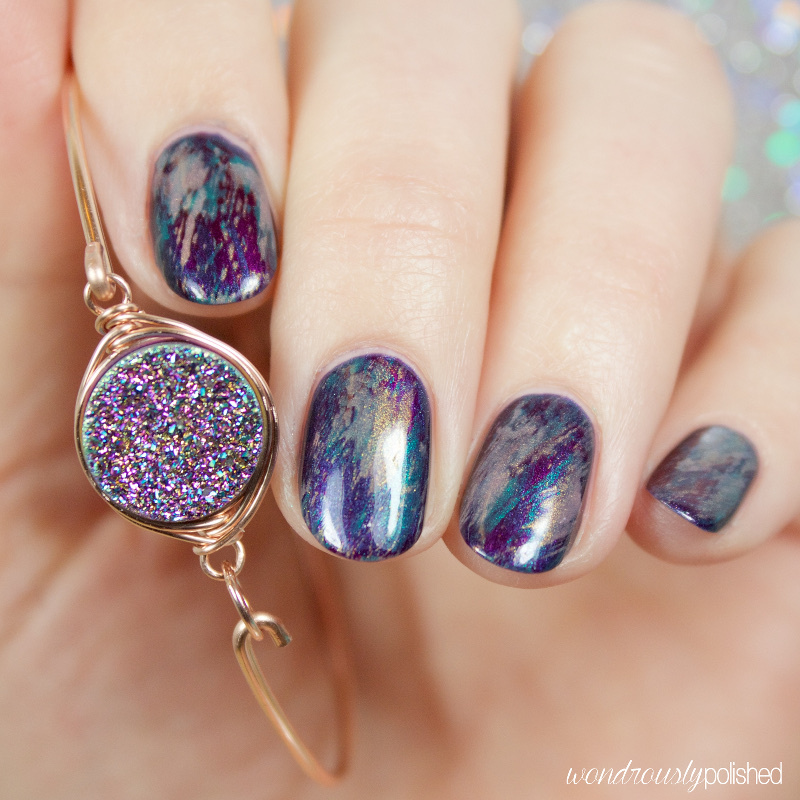 For quite sometime I have been drooling over the stunning druzy jewelry created by Alissa over at Wrenn Jewelry. You've probably seen her work pop up on your Instagram or Pinterest pages as so many people covet her beautiful work. 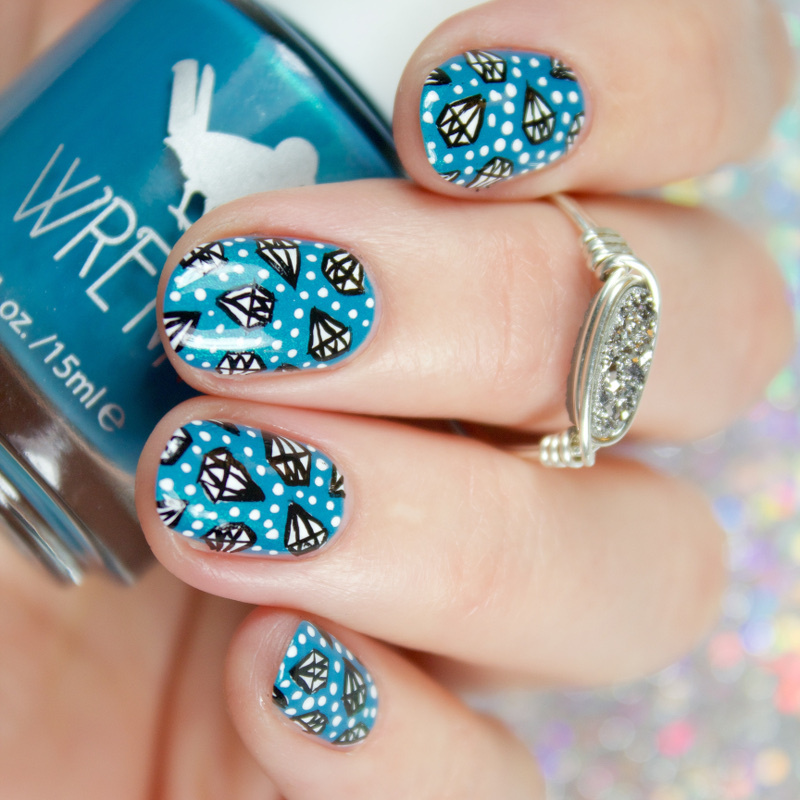 Just taking a quick look at Wrenn's website will make you want to spent your rent on jewelry, but now they're excited to announce a nail polish line as well! This 10 piece collection is inspired by various Wrenn rings and each polish is semi-representative of the unique druzy stones used in Alissa's jewelry. So, let's take a look at this new collection! Hi, all! Quick post because I'm exhausted! 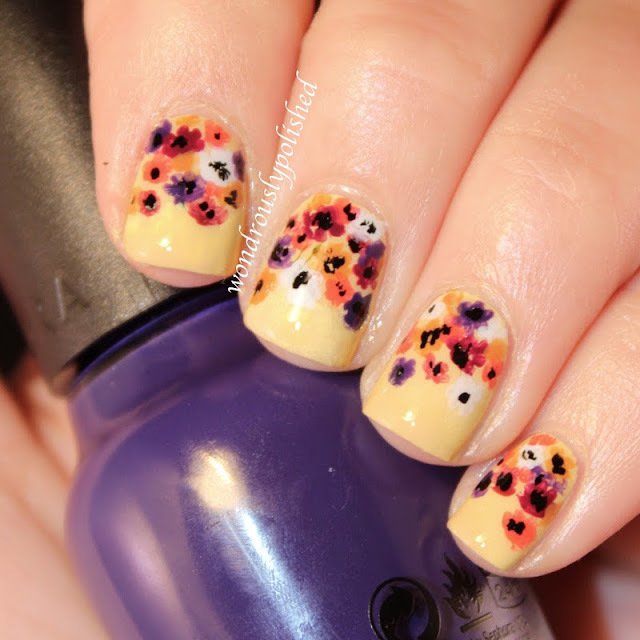 I'm a day behind where I'd like to be for Digital Dozen week but I'm hoping to squeak in my day 3 mani on day 3! 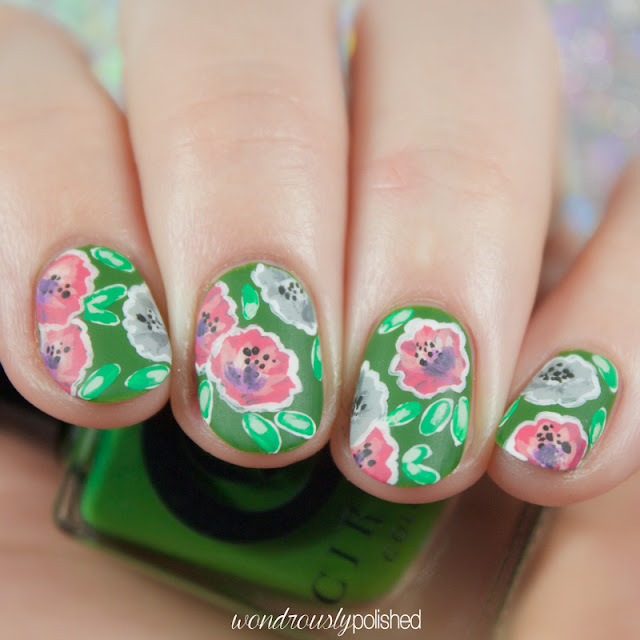 As I mentioned in my previous post, I've been recreating past floral manicures for New and Improved week to see how far (or not) I've come. It's been interesting so far because I feel like I've made improvements, but it in no way detracts from the love I feel for the original manis that I did. Hello, all! It's day 2 of Digital Dozen New & Improved week and I've decided to recreate the first mani that I ever felt truly proud of completing - these water lilies. Don't get me wrong, I quite liked many of the manicures that I had done up until this particular manicure, but I had never tackled anything quite as complex or challenging and I was so proud of it actually turning out the way I had hoped. 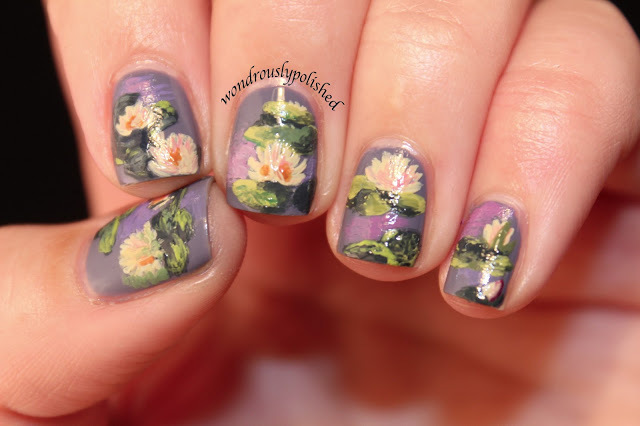 I have always loved impressionism and I've painted a few manicures in this style since I first painted these water lilies (just search for impressionism in the side bar if you'd like to see others!). But it's been a long time since I've done something like this so I was eager to give this one another go. Hello, all! It's Digital Dozen week yet again and I'm excited to say I'm actually going to be able to partake this month! 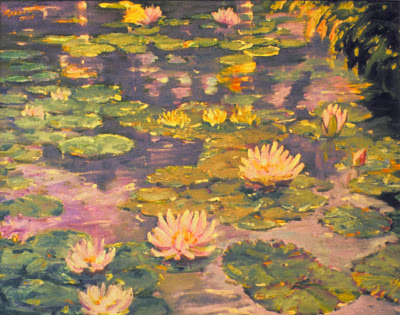 We're all joining in on the theme of New & Improved meaning we're all going to be either recreating past work to show how much we've improved or attempt techniques that we've tried and maybe failed at before. 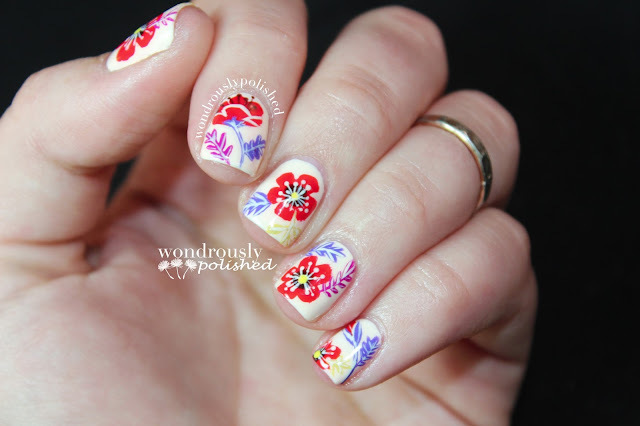 For me, I'm taking the approach of recreating past manicures, past floral manicures in particular. 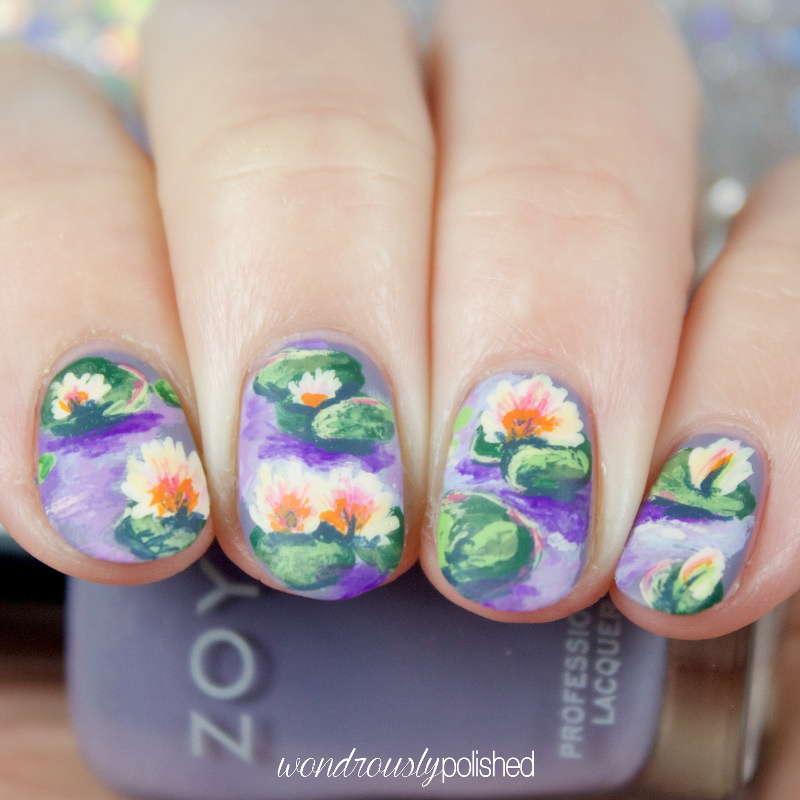 I'm sure you all know by now that I love my floral manicures...but did you know I didn't always feel that way? 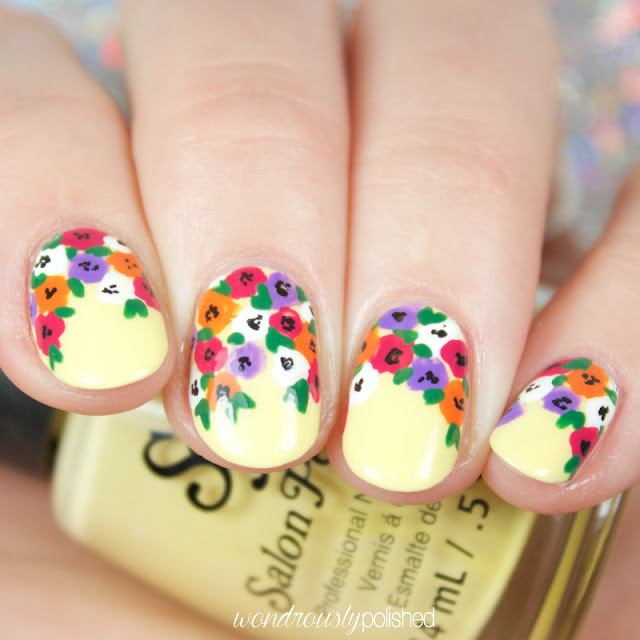 ;) I actually wrote that I wasn't a "flowers on my nails kind of girl"...oh how much you can change in a moment! Hello, all! Quick post today! I was crazy busy over the holidays so I haven't been able to post regularly but hoping to get back in the swing of things now! Today I have another mani for the 40 Great Nail Art Ideas Challenge! 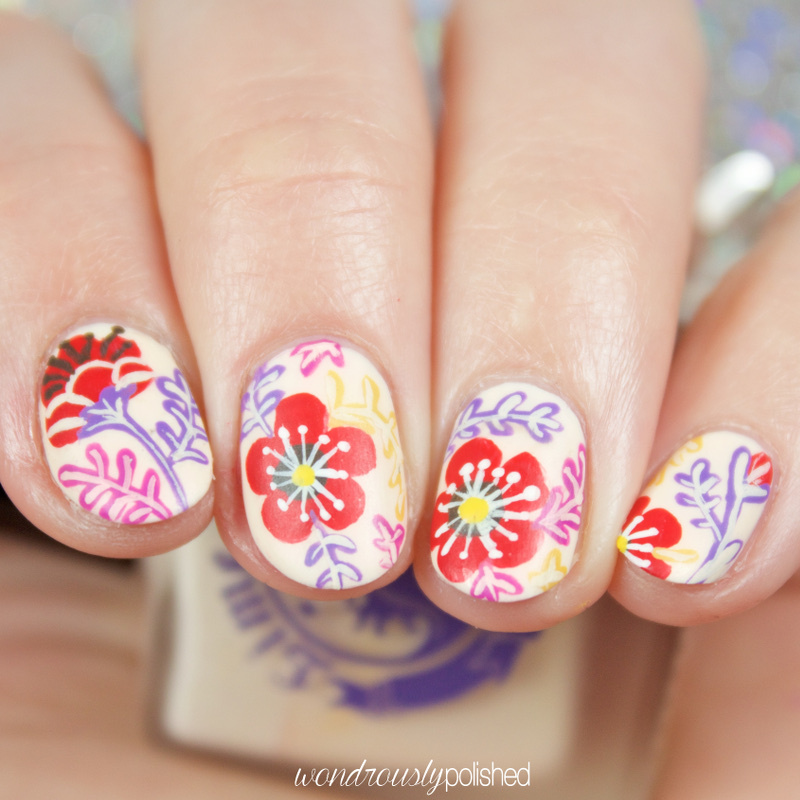 Today is another set of pattern prompts and that means everyone is posting manis with the same color but a different style/pattern. My pattern was "fan brush"with a pale blue base. Hello, hello! I hope everyone had a safe and happy Holiday season! I know I was insanely busy and I'm trying to find my groove again when it comes to managing all my day to day responsibilities. But! Exciting post today as I have a beautiful collection by Powder Perfect to share with you all! I noticed, first, the dust motes dancing in the light as I walked through what must have been the library.The carpets had begun to fade and ebb away, and items were strewn about as thought the last occupants had fled at but a moment’s notice. I found a discarded wax seal on the desk – emblazoned with the family’s crest. A once glorious family, the owners of this house had now faded from local recollection. All that remained was the crumbling shell of their grand home. Now, Powder Perfect is an Australian based brand which meant for those of us international fans had to buy through stocklists in order to purchase PP shades. However, Powder Perfect is launching their very own US based shop starting tomorrow, January 8th (note, these polishes won't be listed on the site until tomorrow)! 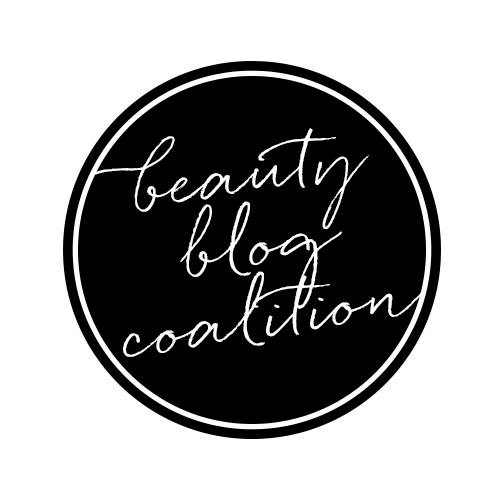 This new collection will be available to purchase through this site if you're US based which is very cool, though you can of course continue to purchase through the stocklists or Powder Perfect's site. So let's take a look at The Castle Collection!